Description: The glassware One of the great things about having a gig like this is that I get to meet a lot of beer enthusiasts from every walk of life. Whether it’s social, political, religious or a lack thereof, there’s always one unifying factor: the origin story. As these yarns are shared over a pint (or four), our beer biographies are inevitably exchanged, and we reflect on how our lives became entangled around a simple beverage that can be as diverse as the cultures from which they hail. The theme on how we began and how we arrived are almost comically the same. It all starts out in our youth, with beers that are widely available, light, inexpensive and far away from the black-diamond territory on the flavor scale. There’s nothing wrong with beers like these. They are the most popular beers in the world. Because they are so common and similar, it’s easy for the adventurous tongue to look elsewhere and find the beers that can challenge us and broaden our minds. Once those light lagers are left behind, they’re rarely revisited, like Sting is to The Police. That’s most likely because of experience—the big industrial lagers are generally filled with flavorless starches and adjuncts that make them more cost-effective to produce while retaining some of their traditional flavors. These natural substitutes are fine to a certain point—until you have a true lager made the way they were meant to be made (hundreds of years ago). I found my path back to the pilsner many moons ago. I had experimented with all of the basic beer styles and was left with one nagging gap in my beer wheel. I discovered—upon revisiting what I thought was an old-world, fizzy, yellow beer—a flavor powerhouse that made it obvious why this had become the most popular beer style in the world. 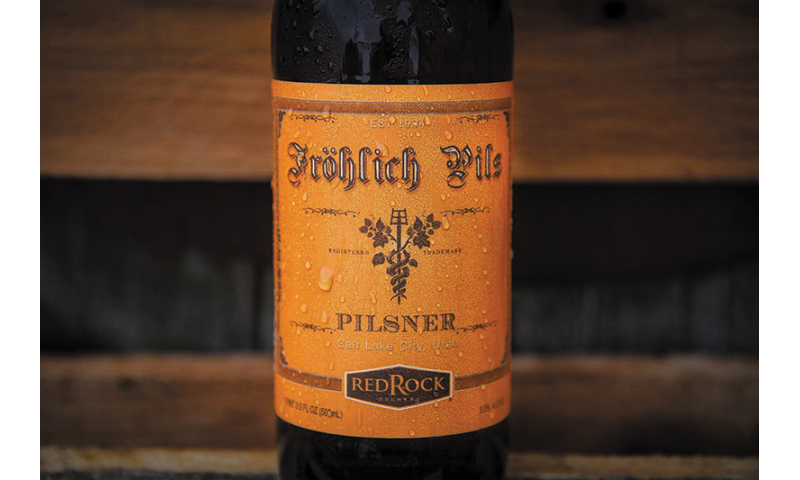 If you are looking to be reinvigorated by the pilsner, I have a locally made option that will make it all clear to you. Description: The glassware is important. It should be horn-shaped—narrow at the base, wide at the rim. 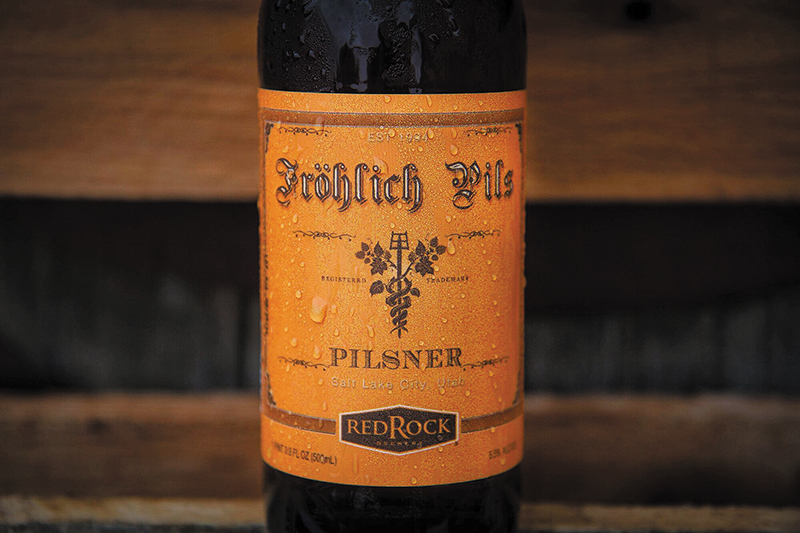 Fröhlich pours a near-crystal-clear, bright-pale-golden color with a single, dense finger of sudsy white foam that is at near meringue in consistency. The stamina of the head is strong, and it retains its dominance on top with ease as angelic bubbles ascend from the etchings at the bottom of my glass feeding the foam. Nice, soapy lacing clings down the glass as I swill away. The nose has perfumes of herbal lemon, dry cracker, biscuit and earthy white pepper. It’s well-balanced, as the competing malts and the spicy hops dance around my sniffer. The taste starts out similarly to the nose with a hint of lemon peel, toasted crackers, dry biscuit and some good, complementary sweet malt. At this point, the old-world European hops begin to assert themselves, providing herbal bitterness, vague grasses, light pepper, earthy florals and a tiny smack of yeast sulphur. The finish is moderately dry with herbal/spicy bitterness pushing back a lingering malt sweetness and pretzel notes. Overview: I think that if you’ve been away from the pilsner for a while, you will find that there’s an ease of drinkability here that you’ve missed from your previous forays with macro-lagers. It’s enhanced by minimal yeast notes, zero warming alcohol and a pleasant malt profile that screams fresh New York bagel. The medium body is also boosted by medium-to-high carbonation, which makes the hops more crisp-tasting. This is a damn-nice-all-around German-style pilsner. The great balance and drinkability makes it perfect for anytime of year, especially now with spring on our doorstep. Enjoy chilled at 38–42 degrees Fahrenheit.